If the past two AFL finals series have provided the fairytale storylines to warm the hearts and minds of the neutral observer, this season’s premiership decider may take some getting used to. Back-to-back drought-breaking successes for the Western Bulldogs and Richmond were welcome tonic from the corporate prevails of the modern-day game as a good old-fashioned underdog got their moment in the last-Saturday-in-September sun. 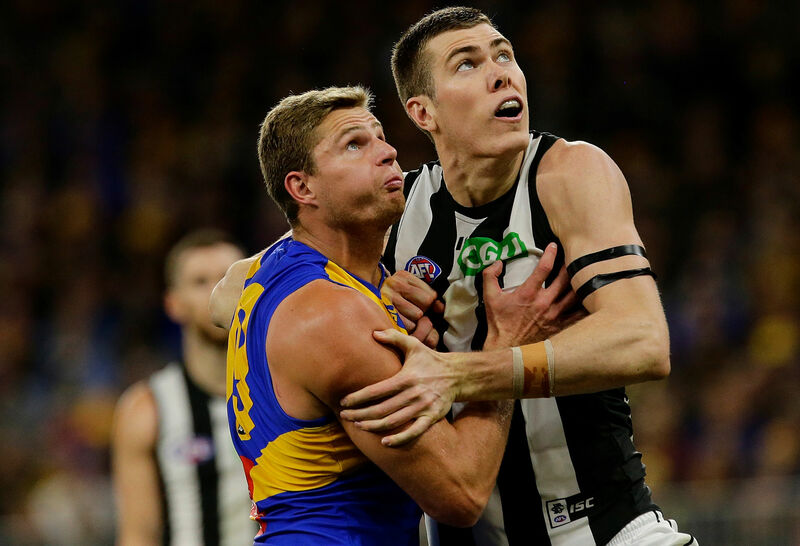 This weekend’s decider between West Coast and Collingwood – two powerhouses of the competition both on and off the field – holds none of that romance. Indeed there was a ruthless exhibitionism in the way West Coast crushed the latest scriptwriter’s dream amid the baying den of a stadium where the hopes of many clubs in the future will also surely go to die. That Melbourne were the first subjects to a public finals execution at Optus Stadium was probably indicative of life in red and blue over the previous decade but wholly inappropriate for where the club appears to be headed. The stirring promise of the Dees’ list and half-century wait to end their bid for a flag had made them the latest September darlings of the media in the way a club of West Coast or Collingwood’s immense stature on and off the field could never proclaim to be. 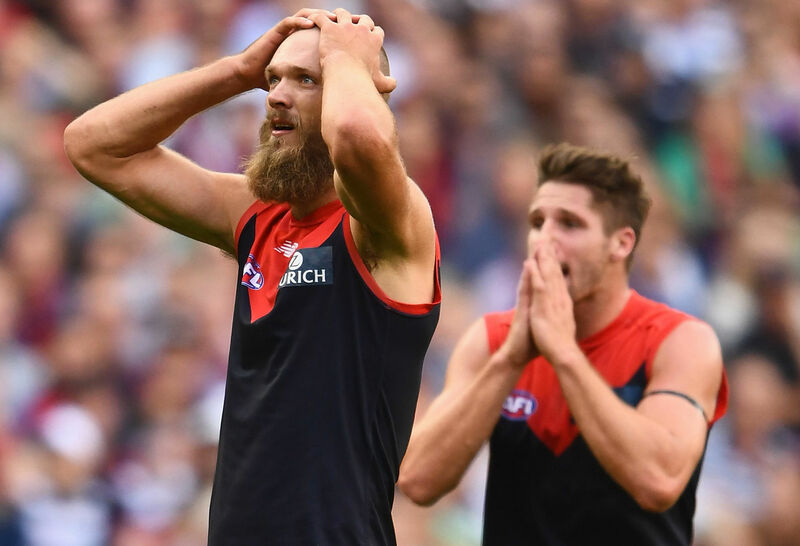 In pure football terms the disparity of their recent fortunes was enacted in a half of football that cruelly delivered Melbourne the history-making they craved – just the wrong type, as they became the first team to go goalless in an AFL-VFL final for 89 years. By the end of the day Melbourne’s only companion was the rabid ring of the home support in their ears as they boarded the longest of four-hour flights home. West Coast didn’t just rewrite the fairytale script; they armed Goldilocks with a sledgehammer, some military-grade nerve agent and firm instruction that it didn’t matter if the bears were in or not. If you’re from out of town or really just not that bloody-minded, it is hard to see the beauty in that. At the very least you’re not reading that story to the kids before bed. Pragmatic hard edges are arguably what has made West Coast one of the most visceral presences in Australian sport – crossing the lines of boorish at times – and also one of the most successful off and on the field of play. There is a hard-boiled beauty in the authority with which West Coast operate so successfully some 3500 kilometres from the beating heart of the competition in Melbourne. No club has made more grand finals in the AFL era than West Coast. It has three premierships from that time, and in an age of equalisation it has reached the finals in 22 of the 29 seasons since the national competition was launched. The Eagles are arguably even stronger off the field, with figures released by the AFL in August showing the club had the third-highest membership, totalling just over 80,000, behind Richmond and Hawthorn, and its financial reserves are the envy of all, with a reported $40 million in the bank. Throw in the new world-class 60,000-seat stadium and a state-of-the-art training facility that is being built up the road at Lathlain Park, and few clubs can match them for professionalism. But who wants to read about a powerful club doing powerful things, really? Certainly no-one in Melbourne if recent headlines in Perth are to be believed. In the absence of any underdog spirit to soundtrack this grand final, one of the subplots is that West Coast’s fans and, ahem, the Perth media believe that the club’s performances this season have been too modestly represented on the eastern seaboard. It is deliciously Perth. It’s also probably about right. There are of course obvious reasons that this might be the case. Perth is a bloody long way from the AFL’s epicentre of Melbourne, and it’d be a brave Victorian journalist who would try and convince their editor to ignore the fans of the nine clubs buying their paper and instead focus on a team on the other side of the country who look like ruining all of their seasons combined, again. If that makes pure business sense, there is an acknowledgement within those who have moved to Perth from the east that West Coast and indeed all interstate clubs fight against the tide of national media exposure. 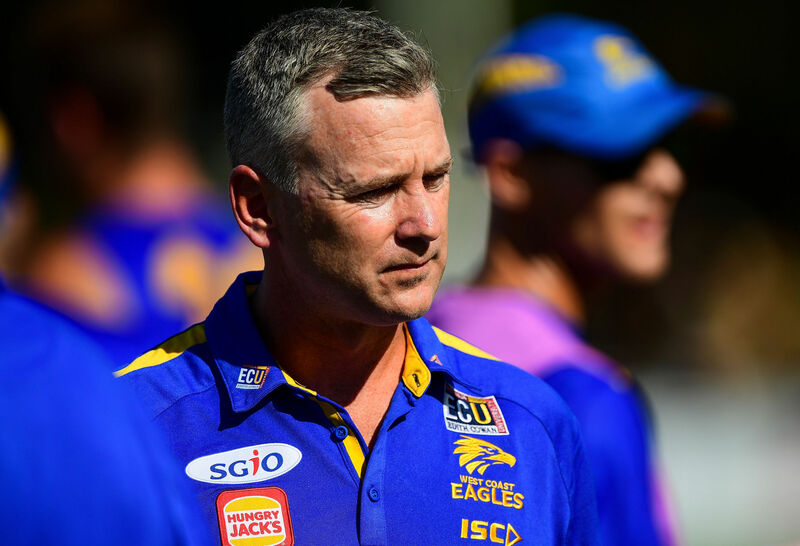 Eagles coach Adam Simpson has confessed to observing it after arriving from the east four years ago, with the 42-year-old most recently perplexed by the exclusion of Elliott Yeo from the final All Australian selection. The coach admitted also after his side’s 66-point preliminary final win that his team had flown under the radar this season, which probably only served to further furnish the frustration Eagles fans have felt from that moment in preseason that the hitherto reputable pundit Robert Walls tipped the club for the wooden spoon. Since then the Eagles have quietly gone about undermining Walls as well as undertaking the small matter of piecing together a convincing premiership case in a season that saw them win ten consecutive games, finish second behind last year’s premiers and, perhaps most tellingly, win all their matches in Melbourne. The last of those was against frand final opponents Collingwood by 35 points at the MCG in Round 17. The midfield has rattled along despite Nic Naitanui’s silver service being robbed from them by another long-term knee injury while their best ball-winner inflicted his own demise with the type of brain fade that did make news in Melbourne. Their best forward and all-time leading goal-kicker has played less than half the games, and despite handing out eight debuts this season, the team have maintained the type of consistency that has returned them to the big dance again. Yet still it is claimed in the west that the Melbourne media are not convinced. One Melbourne pundit has even suggested during this finals series that a place in the grand final would be wasted on the Eagles. It is a notion borne out of the Eagles inept trip to the grand final against Hawthorn three years ago. There remains a mistrust in Melbourne of these out-of-towners from Perth – that they are all too capable of serving up a performance that is not befitting of the proud sporting city’s most important day of sport. Indeed, in 2015 the Eagles overpowered Hawthorn early in the finals series only to completely fail to turn up against the same opposition when it mattered most a couple of weeks later. Collingwood fans take note. It is that final hurdle that stands between West Coast and a fourth premiership flag. It is that hurdle that, for the hordes of West Coast fans set to depart across the Nullabor this week, if negotiated, would complete their own home-spun paranoid fairytale of proving the rest of the country should have stood up and taken notice of their team sooner. If that appears a rather unnecessarily small-time attitude, especially given the success the club has built over its history, it is probably equally naive not to imagine that people from the most isolated city in the world might feel any other way. The fact their last premiership was mired in subsequent controversy has almost also certainly curdled a suspicious quirk of the West Australian mentality, evident from politics to sport, that demands they get one over the big boys from the east. Even the club’s name bears the mistrust of the outsider – their Eagles name was decided in 1986 to represent the fact WA’s best players would make the long flight back from the big league of the VFL to play for the newly formed club. The sentiment was even etched into the lyrics of the original clubs song, which misogynistically goaded: “So watch out all you know-alls. All you wise men from the east”. West Coast will have the attention of those wise men (and women) this weekend. Proving them wrong would complete a uniquely paranoid fairytale only Eagles fans would really understand – and one that probably no-one else outside the state would be minded to listen to.